At Redwood Tax Service,Inc., we treat our clients with courtesy and integrity. Our service starts with listening to you. We guarantee efficient, honest tax service that achieves remarkable results. Our years of experience and expertise ensure that your tax preparation is in good hands. 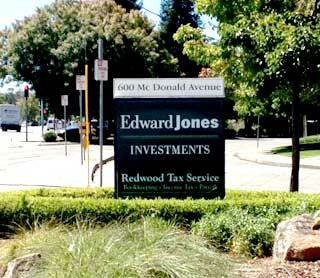 Redwood Tax Service was founded with the goal of assisting our clients in every aspect of their tax lives. We work closely with each client to help them achieve their goals. We are experienced professionals with a “hands on” approach to tax advice. Not only will you find us knowledgeable, but you will also discover that we truly care about making your dreams a reality. Redwood Tax Service provides outstanding service to our clients because of our dedication to the three underlying principles of professionalism, responsiveness and quality. At Redwood Tax Service, we are committed to providing our clients the highest level of professional services. We offer the same attention to detail whether we are preparing an individual tax return or a corporate tax return. Redwood Tax Service emphasizes quality service and personal attention. Since 1990 we have prepared income tax returns for individuals, corporations, partnerships, trusts and estates. If you are looking for a blend of personal service and expertise, you have come to the right place! We offer a broad range of services for individuals, business owners, executives and independent professionals. Our rates are affordable. We are experienced and we are friendly. Please call us for a free initial consultation.